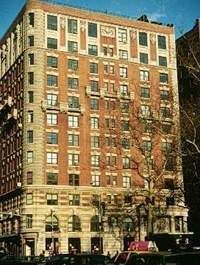 51 West 81st Street is a building located in Upper West Side of Manhattan. The building was built in 1905 and has 125 units and 13 stories. Employment Letter stating position, annual salary and length of employment. If Self-Employed, a letter from your accountant verifying your income. Per June 2018 Amendment to House Rules, public areas are to be maintained as a smoke-free environment. Please see House Rules.